*Excited fans will meet classic singers at Lehman Center for the Performing Arts in the Bronx, on Saturday, April 9th at 8:00 p.m. Dennis Edwards headlines with his Temptations’ Review and The Marvelettes; both groups reminding fans of the glory days of Motown. Audiences that remember Temptation songs like “Papa Was A Rolling Stone,” “Cloud Nine” and “My Girl,” and “Too Many Fish In The Sea,” and “Please Mr. Postman,” by the Marvelettes, will enjoy their favorites LIVE. 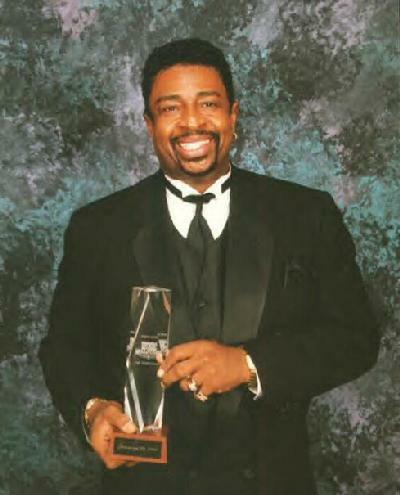 Dennis Edwards took the time to chat on Blakeradio.com, Rainbow Soul, via my shows, “Topically Yours” and via “Music Pastures” on Soulinterviews.com in Sweden. “The fans love to hear our hits. We can’t get away from that. I’m honored to also share the stage with our Motown sister group, The Marvelettes. Listening to some of the Temptations’ songs brings back memories. For me, it has a different meaning. Eddie, David, Paul and Melvin are gone now. Hearing their voices, I sometimes get emotional” remarked Edwards. “When I listen to “Cloud Nine,” I recall our first Grammy. When I first joined the Temps, I knew I could sing but I was worrying about learning their dance steps. I practiced 9 hours a day learning the steps for 2 straight weeks. Finally, I realized it’s basically timing and hard work. It’s not all glitter and glam, show biz takes blood and sweat. To replace someone as great as David Ruffin, I had to come out with something super,” explained the lead singer. It was after listening to Dance to the Music by Sly Stone that the Temptations struck upon the idea of each Temptation singing a line a piece which introduced something new to their singing style. “We took a chance with “Cloud Nine,” and “Papa Was A Rolling Stone” because the songs were long. Back then songs were no longer than 3 minutes. After our success with “Cloud Nine,” we did Psychedelic Shack and Ball of Confusion. Then we came up with “Papa Was A Rolling Stone.” We liked the beat but thought we wouldn’t get airplay from the disk jockeys due to its length. But it caught on” recalled the Fairfield, Alabama, born singer. In 1984, Dennis left the Temptations. “I was good friends with Teddy Pendergrass. He left his group and I was upset about something that happened with Temp management. Lead singers can be eccentric sometimes. Because I was upset, I quit the group for a few months. During that time, I recorded the song “Don’t Look Any Further.” The song was written by Dennis Lampert, Franne Golde and Duane Hitchings and sung by Dennis and Siedah Garrett. It peaked at #2 on the Billboard Black Singles chart and peaked at #72 on the Billboard Hot 100. “The story behind the song is Lampert was on safari in South Africa and heard natives in the field chanting. He found the chant so haunting he taped it. Once in the studio, he was messing around with groves and thought of that chant and well that is how “Don’t Look Any Further,” came about,” said Dennis. Dennis married one of the Pointer Sisters. “I married Ruth Pointer in Las Vegas after we met on tour. We had a beautiful daughter named Issa, together. Issa is married now and living in Alabama. She gave me a grandbaby not so long ago. Ruth and I were together for a while but we realized we made better friends. Sometimes things happen that way” said the Temp. “I bet you didn’t know that David Ruffin and Teddy Pendergrass were drummers originally,” informed Dennis. “When I first joined the group there was Paul Williams, Otis Williams, Melvin Franklin and Eddie Kendricks and of course I replaced David Ruffin. Elbridge Bryant was an “original member” with the group four years before I joined. Bryant got into a fight with Paul and was put out of the group. When he left, the Temps were looking to replace him. It was then they discovered a drummer already with the group, could sing. That drummer was David Ruffin” remarked Dennis. The Temps were inducted in the Rock n’ Roll Hall of Fame. For the first time in the history of the Hall, the Hall decided to induct 6 members. “I was inducted, although I wasn’t an original member. Eddie, David and I generated so much excitement while walking down Park Avenue that afterwards we decided to form Ruffins, Kendricks and Edwards” remarked the award winner. The Temptation Review consists of Mike Patillo, David Sea who replaced David Ruffin, Chris Arnold who replaced Eddie Kendrick, and a surprise personage to be announced at the Lehman Center performance. To acquire tickets call 718-960-8833, go online at www.LehmanCenter.org, take the #4 or D trains to the Bedford Park Blvd stop. Via car, Lehman Center is located at 250 Bedford Park Blvd West, the Bronx.